I've got one of the Just Kampers driveaway awnings, and I'm really happy with it. Geees I am finding it hard to keep up with all these recommendations! I would love one of theses annex tents for ours as well. I would love to have an original one from late 70,s. Do they ever come up for sale? or does anyone know of one hidden away anywhere. New member first time posting. 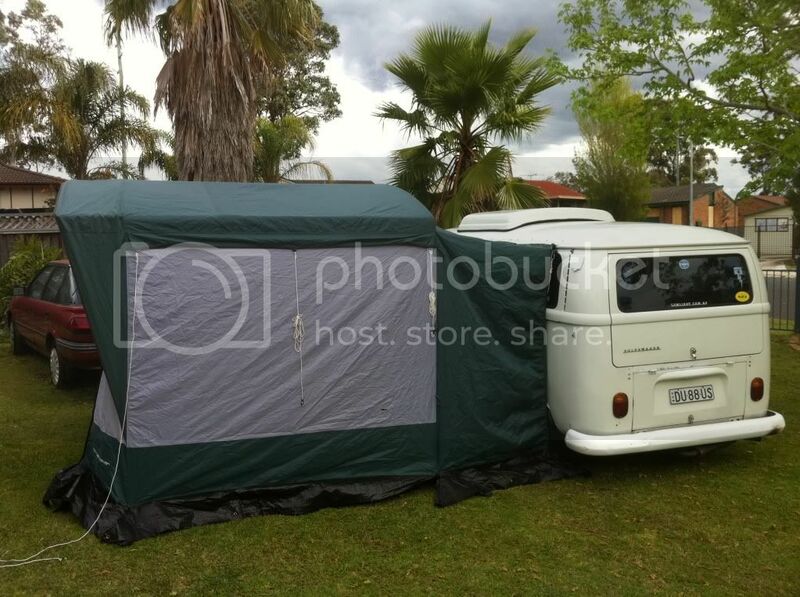 My profile is my Kombi 1978. All pretty original, in great nick & we just love him. I say him because I have three girls in my house & I needed a mate in my life. He is "The Jungle" & I often have beers by myself just staring at him in the garage. Syncro27, Grantus, melissa and 1 other person like this. Welcome Scott - they do come up every now and then but do you REALLY want one? They are heavy, awkward and smell!! - well mine does - just smells of old canvas and no matter how long you leave it out to air, even spraying it with Febreeze still doesn't take away that musty old canvas smell. We find a Coleman gazebo next to the kombi is easy to drive away from- you can add walls and even a tent off one side is great for stashing things (and kids) in. Your choice of course. Get yee to the Bus Stop at Stanthorpe...... you will see every possible shape/ configuration of awning imaginable ! Good way to see what works and why, for folks.....welcome to KC. 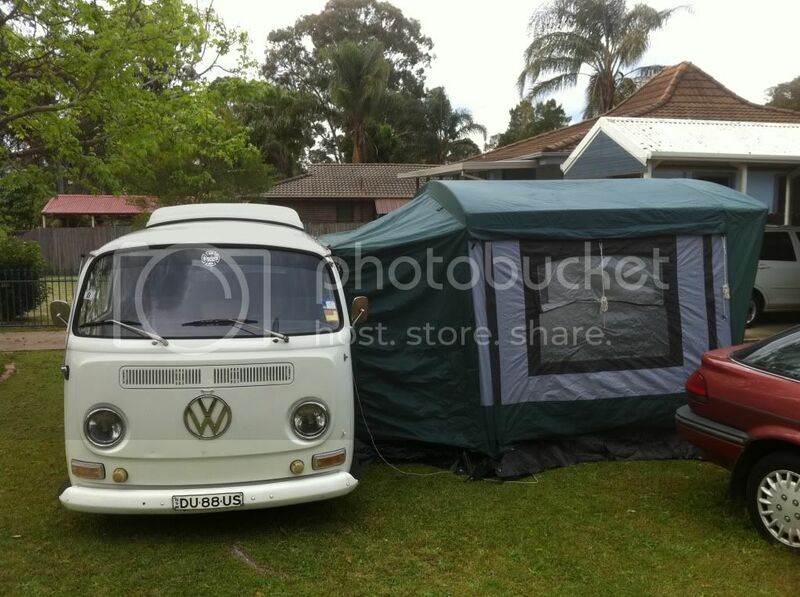 Welcome to the Kombi Club Scott! Annex tents have come a long way since the 70’s.... just saying. The annex on mine looks like its from the 70s... I haven't put it up yet to take a photo.